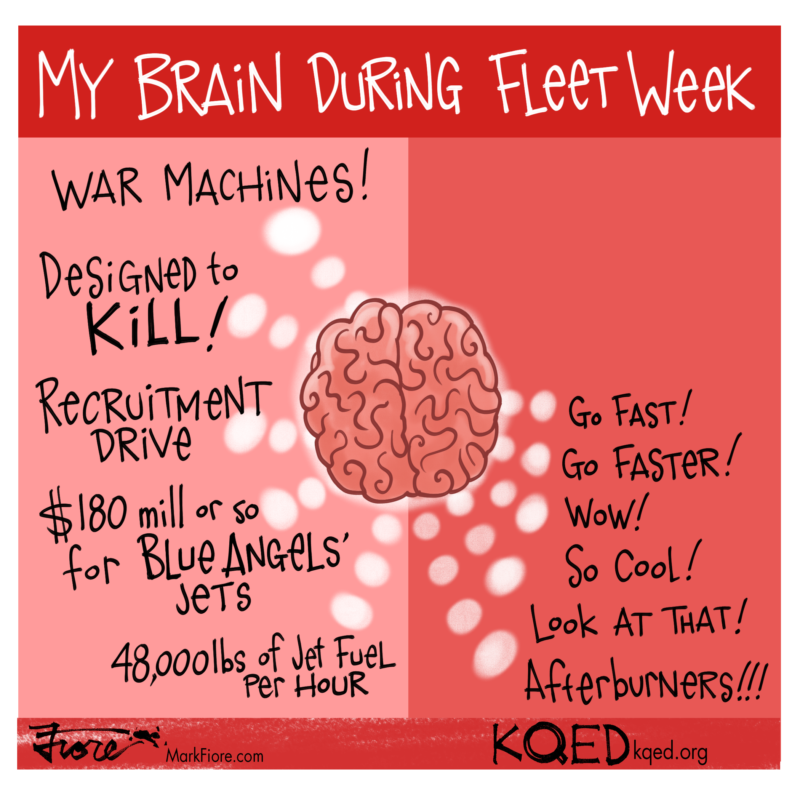 Love it or hate it, it's Fleet Week in San Francisco again. Find out what you can see (or avoid) here. The main action will be along the north side of San Francisco, from Crissy Field to the Bay Bridge. If you want to avoid the Fleet Week crowds, you can find an entirely different crowd in Golden Gate Park at Hardly Strictly Bluegrass. 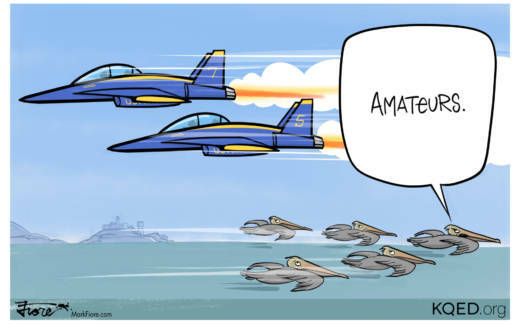 As the cartoon below shows, I'm a little torn.